Congratulations! You win 84 bonus points with this purchase! 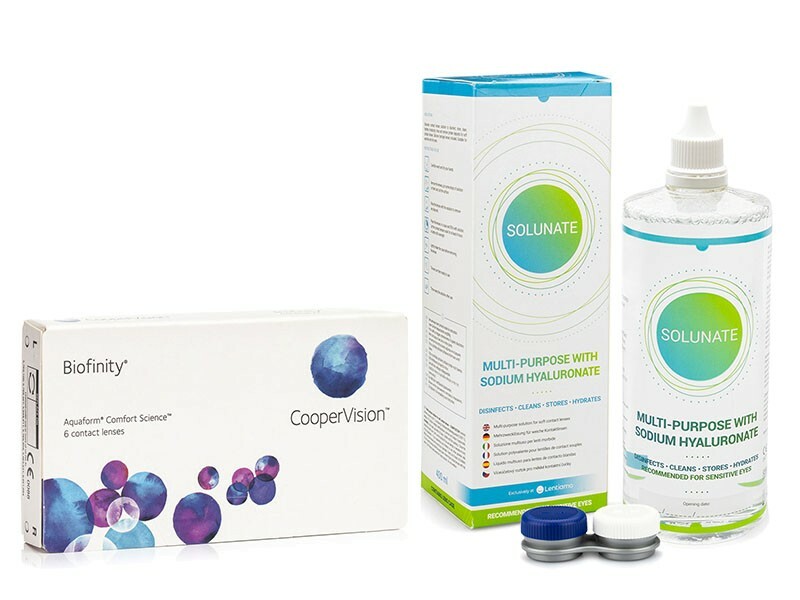 We offer an economy pack for monthly contact lenses Biofinity with Solunate Multi-Purpose 400 ml solution. Biofinity (6 Lenses) are silicone-hydrogel contact lenses, from CooperVision, that offer exceptional comfort, excellent vision and a healthier lens wearing experience. These soft, flexible lenses allow plenty of oxygen to pass through to the eye and support natural wettability with Aquaform® technology. Designed for daily use with a monthly change, they can also be worn continuously for seven days following optician confirmation.